Also referred as three-side seal bags, vacuum bags are made from barrier film and are a popular product for the fresh food industry. Used for packing fish, meat and cheese where the vacuum sealing technique removes air to reduce bacterial growth, therefore any product that needs to be kept fresh and sealed can be stored in a vacuum bag. Also suitable for long term storage of dry foods. Please note vacuum bags are very versatile and come in varying shapes and sizes and also can have euro slots and tear notches included. 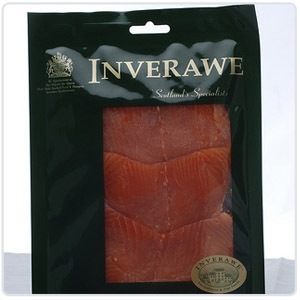 The films used in these bags vary depending upon contents to ensure odours and shelf life expectancy are achieved. Technology available for this product is very sophisticated, please take the time to contact us to ensure your specification is correct. Print quality achievable is extremely high with gravure print being the most popular choice used to produce these products. Kingscroft stock a wide range of plain vacuum bags - popular for manufacturers providing non-retail goods (eg. supply to restaurants or hotels). Plain vacuum bags are also widely adopted by users applying printed labels until volumes allow a bespoke bag to be considered. Clear, Gold-backed and Tartan print bags are available from stock in a wide range of sizes, thicknesses and materials. 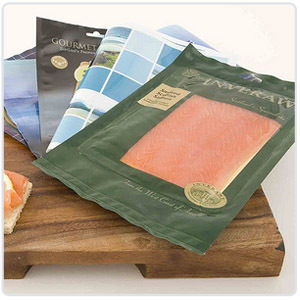 Kingscroft also supply a wide range of backing boards and interleafing sheets for use with the vacuum bag packing process. Further, we can also supply suitable machinery to assist in the process of packing and sealing vacuum bags. Please see the Machinery section. We will liase with your existing designer or offer a complete design and production service for bespoke enquiries. Please visit our Contact Page to make an enquiry and a member of staff will be in touch to discuss your requirements further.